Task Force on Institutional and Organisational Development has completed its work at the FIG Congress 2010 in Sydney, Australia in April 2010 by publishing its results in FIG publication No. 47: Institutional and Organisational Development - A Guide for Managers. FIG Guide, 2010. FIG publication No. 47: Institutional and Organisational Development - A Guide for Managers – provides a range of material to support managers in assessing and developing capacity, including a number of examples. Here you can read about the context for the Task Force’s work and results. Capacity building consists of the key components of capacity assessment and capacity development. Sufficient capacity needs to exist at three levels: a societal (systemic) level; an organisational level; and an individual level, with all three needing to be in place for capacity to have been developed. Continuously builds its capacity and capability so that it can respond to future challenges. Such an organisation needs to assess its capacity honestly and objectively, and to give focused attention to capacity development. The emphasis on sustainability is vital: unless capacity is sustainable, an organisation cannot respond effectively to the ongoing demands placed on it. For the purposes of the work of the Task Force, institutional development relates to the enhancement of the capacity of national surveying, mapping, land registration and spatial information agencies and private organisations to perform their key functions effectively, efficiently and sustainably. This requires clear, stable remits for the organisations being provided by government and other stakeholders; these remits being enshrined in appropriate legislation or regulation; and appropriate mechanisms for dealing with shortcomings in fulfilling the remits (due to individual or organisational failure). Putting these elements in place requires agreement between a wide range of stakeholders, in both the public and private sectors, and is a non-trivial task. Organisational development, in contrast, relates to the enhancement of organisational structures and responsibilities, and the interaction with other entities, stakeholders, and clients, to meet the agreed remits. This requires adequate, suitable resourcing (in staffing and cash terms); a clear and appropriate organisational focus (to meet the agreed remit of the organisation); and suitable mechanisms to turn the focus into delivery in practice (these mechanisms including organisational structures, definition of individual roles, and instructions for completing the various activities). Ensuring effective learning and improvement. 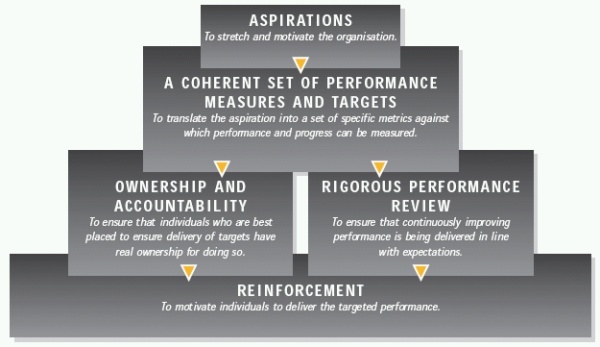 The Task Force then created an assessment template, providing four statements for each of 18 areas (each of the six elements above, at each of the three levels). Respondents were asked to rank the statements 1-4 in terms of how well the statements reflect the situation in their country/ state, or to mark the statement in each group of 4 which most closely resembled the situation in their country/ region. The table below provides an overview of the responses (where the most often-selected response is shown, 1 being the ‘worst’ description and 4 being the ‘best’ description). The area scoring worst is agreeing the division of labour between stakeholders at the various levels. There is insufficient time and effort given to learning from past experience. The examples are drawn from all parts of the world. Please draw on the information on this web page and in the Guide. All comments are welcome! FIG thanks all of the Task Force members, and all who contributed to its work.